Supplemental Coverage Option (SCO) crop insurance was introduced in the 2014 Farm Bill but was limited to acres enrolled in the Price Loss Coverage (PLC) commodity program. SCO was not available when Agricultural Risk Coverage (ARC) was chosen by crop by FSA farm number. ARC was the choice for nearly 98 percent of the Iowa’s base corn acres and over 99 percent of the base soybean acres from 2014 through 2018. As a result, SCO was not a crop insurance choice for very many farms through 2018. Similar to the 2014 Farm Bill the 2018 Farm Bill again gives farmers a choice by crop by FSA farm number to elect and enroll in either the ARC-County or the PLC program. However, with the 2018 Farm Bill being implemented in 2019, the expectation of some experts is that many farmers will eventually enroll in the PLC program for the 2019 and 2020 crop years, especially on their corn base acres. That’s because of the potential for the PLC program to trigger payments should the final national average cash price fall below the $3.70 per bushel reference price. Enrollment in PLC will lead to more insured crop acres being eligible for the purchase of SCO. For 2019, SCO premiums appear very attractive as compared to Revenue Protection (RP) at higher coverage levels. The SCO band of coverage will be based on the county revenue given that the underlying crop insurance product is RP. SCO provides a protection in a band at an 86 percent maximum level down to the coverage level selected for RP. An example would be a farmer who selects a 75 percent coverage level for RP in addition to the SCO product. Thus, SCO could provide county-based revenue coverage from the 86 percent to the 75 percent level. To trigger an indemnity claim, a county-based revenue must fall below 86 percent of expected revenue before SCO makes a payment. As a result, the RP-SCO combination provides mixed coverage: Farm-level coverage is provided from the RP product downward while county-level coverage provides between 86 percent and the coverage level of the RP product. The primary disadvantage of the RP-SCO combination is that the county-level coverage may not match losses on a farm. Sometimes a farm may have a loss while SCO will not trigger a payment. It’s also possible for the farm to not have a loss while the county-based SCO product triggers a payment. The primary advantage of using SCO is a lower farmer-paid premium. The costs of an RP-SCO combination product will usually be lower than the 85 percent RP product alone for two reasons. 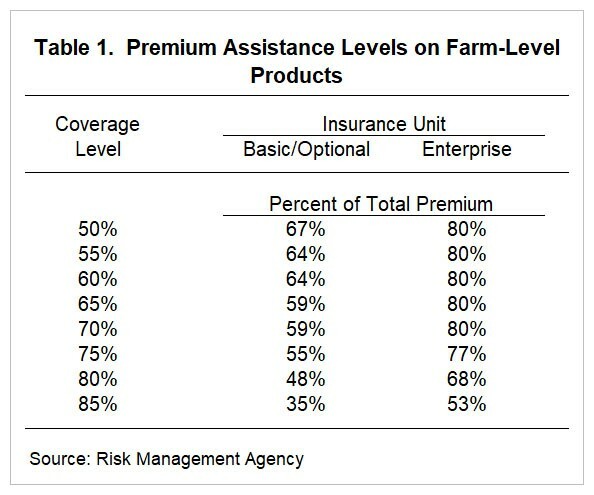 First, the county yields are typically less variable than the farm yields, resulting in fewer payments for a county-based product than for a farm-level product at the same coverage level. Lower payments then result in a lower premium. Second, SCO has a subsidy rate of 65 percent which is a higher than the RP at the 85 percent coverage levels using enterprise units. This 65 percent subsidy rate is higher than all subsidy levels for basic and optional units when the coverage level is above 50 percent. These government paid premiums are reflected in Table 1 below. Farmers who typically purchase RP at high coverage levels could find SCO useful, particularly if a lower coverage level is selected that might result in a lower farmer-paid premium. However, the farmer should have the intention of eventually electing and enrolling those crops on those farms in the PLC program. Farmers interested in SCO coverage for 2019 should discuss premiums and choices with their crop insurance agent before the March 15 sales closing deadline on spring planted crops. An agricultural economics and business website. Alejandro Plastina, ISU Extension Economist, and Ann Johanns, Extension Program Specialist, provide an explanation of the data used in calculating 2015 ARC-CO payments in Iowa. Final data on 2015 county level yields was recently released by the USDA Farm Service Agency. 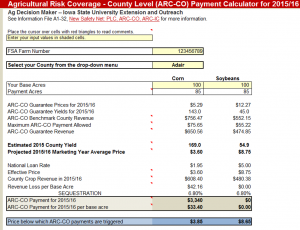 This is the final information needed for calculating payment rates under the Agriculture Risk Coverage-County (ARC-CO) program. The Marketing Year Average (MYA) prices for the marketing year starting Sept. 1, 2015 and ending Aug. 31, 2016 were $3.61 for corn and $8.95 for soybeans. The payments released by the USDA Farm Service Agency starting in October 2016 are for crop acres enrolled during the 2015 crop year. Payments under the 2014 Farm Bill are tied to the base acres on a farm and are not influenced by the crop grown in the payment year. ARC-CO payments by base acre for corn and soybeans are shown in Figures 1 and 2. Under the ARC-CO program, producers receive payment on 85 percent of their base acres. This 15 percent reduction is factored into the values seen in the related figures. Furthermore, a 6.8 percent deduction is applied due to the federal government’s sequestration of the budget. Seven counties (Appanoose, Decatur, Henry, Lucas, Marion, Monroe and Washington), all located in the south central and southeast portion of the state, will not see a payment for corn or soybean acres. Eight counties (Clarke, Jefferson, Keokuk, Pottawattamie, Ringgold, Van Buren, Warren and Wayne) will receive a payment on soybean acres and not on corn. Another 26 counties will receive a corn payment and no soybean payment (Adair, Bremer, Buena Vista, Calhoun, Carroll, Cerro Gordo, Clay, Davis, Dickinson, Emmet, Floyd, Franklin, Guthrie, Hancock, Howard, Humboldt, Kossuth, Madison, Mitchell, Monona, Palo Alto, Pocahontas, Sac, Winnebago, Worth and Wright). Base acres enrolled in ARC-CO in the remaining fifty-eight counties will receive a payment at some level for both crops. With the 2014 Farm Bill, Iowa producers had two options to choose from, ARC-CO or Price Loss Coverage (PLC). The PLC program provided a safety net for producers should the MYA prices be below the set reference prices of $3.70 for corn and $8.40 for soybeans. No payments were seen in Iowa under the PLC program for 2014, but a small payment will be received for corn base acres enrolled in PLC for 2015. The payment per bushel will be $0.07 (after 6.8 percent sequestration) and based on yield information at the farm level. Producers were given the option to update their yield information with FSA during program sign-up. 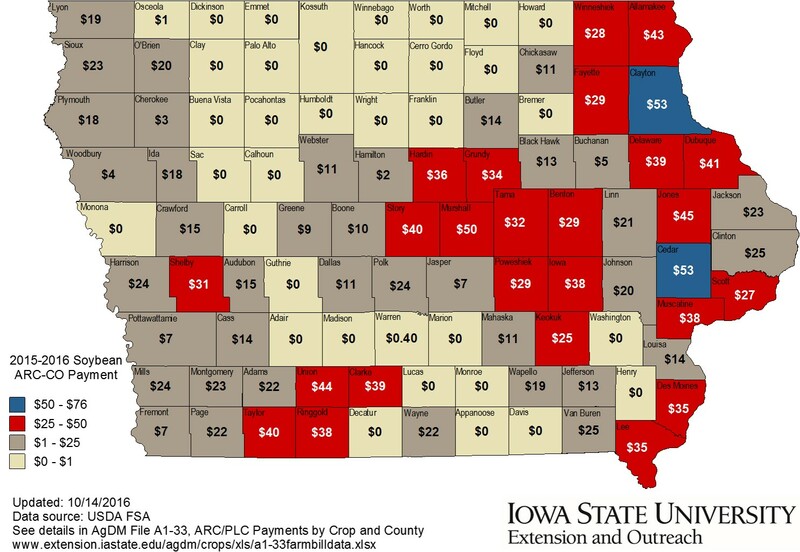 The average ARC-CO payment per base acre on corn was $33.51 and $15.68 for soybean acres in Iowa. 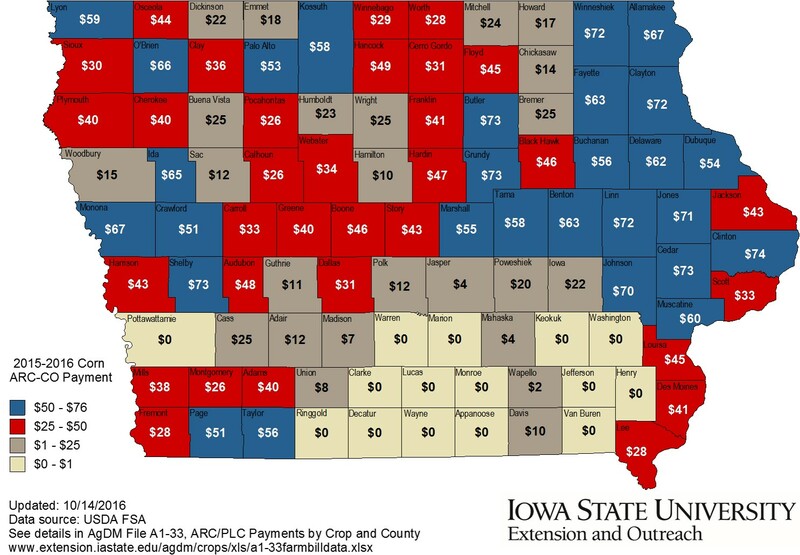 With over 22 million base acres in the state enrolled in ARC-CO or PLC, estimated payments for Iowa producers under ARC-CO for the 2015 marketing year is approximately $646 million with another $3.8 million going towards corn base acres enrolled in PLC. More information on the 2014 Farm Bill, including decision tools to see detailed calculations of payments by county, are available through the Ag Decision Maker website. Maps of payments can be found through the Center for Agricultural and Rural Development Farm Bill mapping tool. Projections for 2016/17 payments are updated regularly as information is released by USDA FSA. Alejandro Plastina, ISU Extension Economist, provides explanation of the yield data used in calculating ARC-CO payments in Iowa. On February 22 2016, the USDA National Agricultural Statistical Service (NASS) released the final county crop production estimates for 2015: 73 Iowa counties had higher corn yields in 2015 than in 2014, 22 had lower yields, and 2015 corn yields were not reported for Mills, Monroe, Taylor, and Union County; 86 counties had higher soybean yields, 11 had lower yields, and 2015 soybean yields were not reported for Taylor and Mills County. Knowing that higher county yields reduce the likelihood and the potential amount of ARC-CO payments, the NASS release spurred the interest of producers to recalculate their own projected ARC-CO payments for the 2015/16 crop marketing year. However, two important details often overlooked when calculating projected ARC-CO payments are (1) that county yields are determined on a per planted acre basis, as opposed to a per harvested acre basis; and (2) that the official county yields used in the final calculation of ARC-CO payments are published by USDA Farm Service Agency (FSA), as opposed to NASS. NASS yields are calculated as production (in bushels) divided by harvested acres. Since they are not determined on a per planted acre basis, they cannot be used to calculate ARC-CO payments. FSA yields are only available after the end of the crop year and are calculated on a per planted acre basis. Therefore, most of the difference between FSA and NASS yields is explained by failed acres. The average difference between FSA and NASS county corn yields in Iowa for 2014/15 (the only year for which both yields are publicly available), amounts to 4.75 bushels per acre. In an effort to reflect the impact of failed acres on the yield used to project ARC-CO payments, the ISU Projected ARC-CO Payment Calculator uses “corrected” yields in the calculation of the 2015/16 actual county crop revenue. The “corrected” yields are based on NASS production data and obtained by dividing production (in bushels) by planted acres. For 63 Iowa counties the “corrected” yields in 2014/15 were closer to the official FSA yields than NASS yields were. For example, the corn yield used by FSA to calculate ARC-CO payments for Lyon County in 2014/15 is 149 bushels, while the NASS yield is 172.9 bushels, and the “corrected” yield is 155 bushels. The average difference between FSA and “corrected” corn yields amounted to 0.42 bushels per acre. Judging by the release date of 2014 county yields by FSA on October 23, 2015, it can be expected that FSA will release final 2015 county yields in October 2016, at about the same time as the 2015 ARC-CO payments. 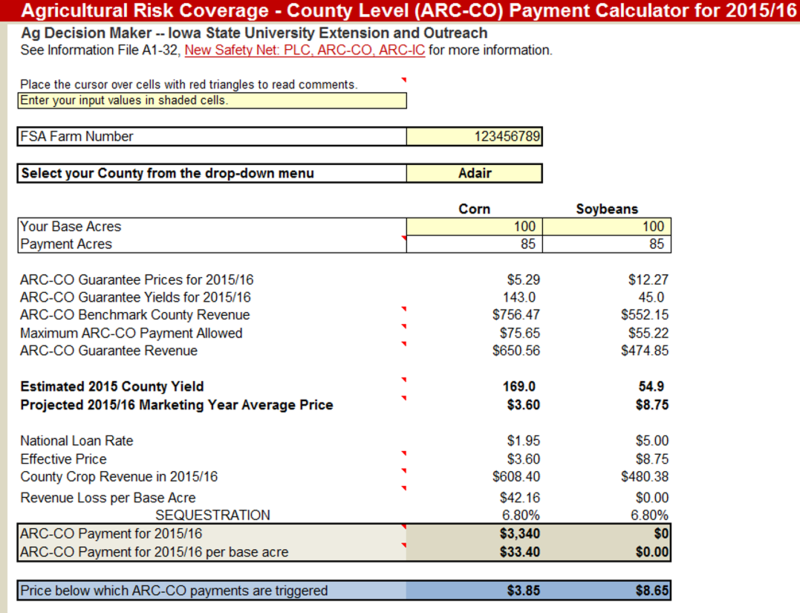 Until then, the ISU ARC-CO Payment Calculator will use a “calculated” yield and projected marketing year price until the price for the marketing year is finalized the end of September. The 2014 Farm Bill extended the Noninsured Crop Disaster Assistance Program (NAP), and the program expanded its coverage by allowing producers to purchase additional coverage. Producers have the opportunity to make this change for policies set for the 2015 crop year until January 15th, 2015. Crops (not livestock) that are commercially produced for food and fiber for which catastrophic coverage under Federal Crop Insurance is not available. Losses due to damaging weather (drought, hurricane, freeze, etc. ), adverse natural occurrences (volcanic eruption, flood, etc), and other adverse natural occurrences (ex. excessive heat, insect infestation, ect.). Producers must apply by application closing date; application is completed with form CCC-471. Application closing dates may vary by crop. To be eligible for NAP, producers must report crop type and variety, location of acres, producers and related shares of crop, growing practice, crop planting date, and intended use of crop commodity. After planting or harvest, producers must also report acres planted, quantity of harvest, and disposition of crop. Production records may be required by FSA. Application must also include service fee. Service fee is $250 per crop or $750 per producer per administrative county. Premiums are also due if electing buy-up coverage. Beginning, limited resource, and traditional underserved farmers are eligible for a waiver of the service fee and 50% premium reduction (file form CCC-860). What are the NAP coverage levels? Catastrophic Coverage (CAT) covers losses greater than 50 percent at 55 percent of the commodity price. Additional coverage, with premium, is available from 50 to 65 percent in 5 percent increments for production loss at 100 percent of average market price. When a loss occurs, notify the FSA office within 15 days of the natural disaster occurrence, prevented planting due to natural influences, date damage is apparent, or normal harvest date (whichever date comes first). For hand-harvested crops that require a timely assessment of loss before deterioration, notify FSA of losses within 72 hours for certain crops. Losses must be verified by the producer by completing form CCC-576, additional documentation/evidence may apply. Average market values are used. At the state level, FSA may set separate market prices for a crop based on represented farming practices or sales to different markets within the state. Retroactive pay for 2012 NAP assistance is available for losses to fruit crops (trees or bushes) in counties that had Secretarial disaster designations due to frost or freeze are available. Annually, payments are limited to $125,000 per individual or entity. Additional information can be found at fsa.usda.gov/nap. Iowa farmers and landowners will learn about the new programs authorized by the Agricultural Act of 2014 (commonly referred to as the Farm Bill) at informational meetings conducted by Iowa State University Extension and Outreach and local USDA Farm Service Agency staff members. Meetings will be held across the state to explain options available under the new Farm Bill. Farm Bill – Program Overview meetings will focus on the Price Loss Coverage (PLC) and Agricultural Risk Coverage (ARC) that will be administered by USDA Farm Service Agency, and the Supplemental Coverage Option (SCO) administered by USDA Risk Management Agency through federal crop insurance providers. Farm Bill meetings for upcoming months continue to be added to the ISU Extension and Outreach Statewide Calendar. For the most current listing of meeting locations and dates visit the Ag Decision Maker Farm Bill website at www.extension.iastate.edu/agdm/info/farmbill.html or contact your county extension office. The Ag Decision Maker Farm Bill website also contains useful links and resources related to Farm Bill decision making. Contact a county extension office for additional details about upcoming local meetings. 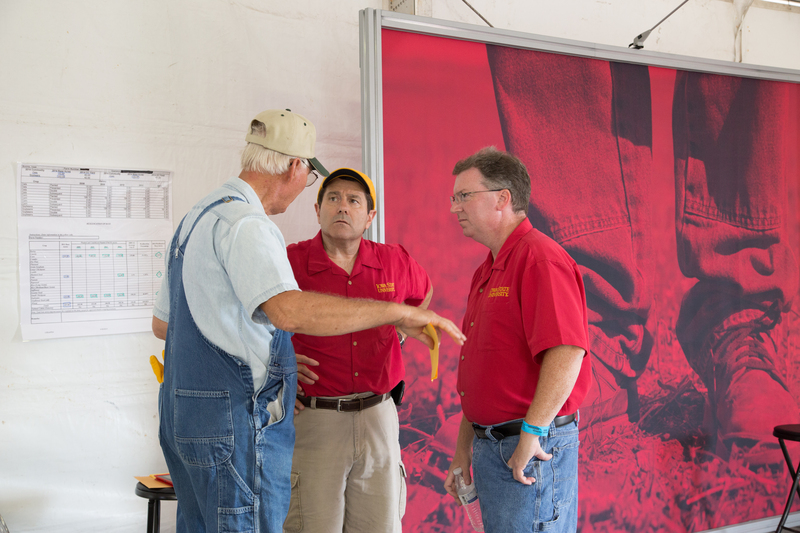 Steve Johnson, farm management specialist, and Chad Hard, extension economist, visited with 2014 Farm Progress Show visitors about the farm bill. The Average Crop Revenue Election (ACRE), a counter-cyclical program created in the 2008 farm bill has had limited participation by Iowa producers. In addition to the Direct & Counter-Cyclical Payment (DCP) programs, a producer could also enroll by FSA farm number in this new ACRE program. There was a cost of participation, as a producer was required to give up 20% of their Direct Payment (DP) annually. The ACRE program used a combination of state average yields, farm level yields and the national marketing year average (MYA) national cash price to determine levels of revenue guarantees and payments for each covered commodity on a farm enrolled. There were two revenue triggers that had to be met annually before any ACRE payments were generated, one at the state level and one at the farm level. The price component of both of the state and farm level triggers is the average of the two most recent USDA marketing year prices. The marketing year runs from September through August each year and uses a weighted average to determine the national cash price. The marketing year average (MYA) national cash prices for the 2011 and 2012 crops were $6.22 and $6.89 per bushel, respectively. The 2013 MYA national cash price of $4.46 per bushel was released on September 29, 2014. To trigger a payment under ACRE the “actual” revenue for both the state and the farm must be less than their corresponding guarantees. The actual revenues are the current marketing year cash price multiplied by the state average yield and the actual farm level yield, respectively. If both triggers are reached, the payment to the farm will be the difference between the state revenue guarantee and the state actual revenue. The payment level cannot exceed 25% of the state guarantee, however. It will also be adjusted up or down by the ratio of the farm Olympic average yield to the state Olympic average yield. For example, if the farm average yield is 10% above the state average yield, the ACRE payment will be increased by 10% for that farm. Because of this 10% limit, the state revenue guarantee for 2013 was $781. The actual state revenue was approximately $736 per acre or 165 bushel per acre state corn yield times $4.46 per bushel national cash price in 2013. This leaves a shortfall in revenue of approximately $45 per base acre of corn. The 2013 ACRE payment was made on 85% of the farm’s base acres. However, the total planted acres that receive a payment cannot exceed the total base acres for all crops established for the counter-cyclical payments. Producers who signed up for the 2013 ACRE program did receive 80% of the direct payments that have been paid in 2013, regardless of actual prices or yields each year. For those 6,000 Iowa farms enrolled in the 2013 ACRE program, they were required to submit 2013 actual farm’s yields to their local FSA office by mid-July. Those same farms will still need to meet both the farm and state triggers. That payment to the farm will be the difference between the state revenue guarantee and the state actual revenue, which appears likely for corn for the 2013 crop. Since the MYA national cash price was not known until September 29, 2014, the ACRE payment is not made until October 2014. Payments to those farms enrolled and appropriate yield information is expected to be made by FSA after October 10, 2014. Iowa State University Extension created an Average Crop Revenue Election (ACRE) Payment Estimator, an online tool, in 2008 to assist producers as they determined if they should enroll in the ACRE program. The calculator has since been updated. You can use this same calculator now to estimate the potential 2013 ACRE payment for your farm, which appears likely for corn base acres. You can find an Information File and Decision Tool titled Average Crop Revenue (ACRE) on the Ag Decision Maker website. For information related to the 2014 Farm Bill, visit the Ag Decision Maker Farm Bill webpage. WASHINGTON, Oct. 2, 2014 – The U.S. Department of Agriculture (USDA) is announcing key dates for farm owners and producers to keep in mind regarding the new 2014 Farm Bill established programs, Agriculture Risk Coverage (ARC) and Price Loss Coverage (PLC). The new programs, designed to help producers better manage risk, usher in one of the most significant reforms to U.S. farm programs in decades. Sept. 29, 2014 to Feb. 27, 2015: Land owners may visit their local Farm Service Agency office to update yield history and/or reallocate base acres. Nov. 17, 2014 to March 31, 2015: Producers make a one-time election of either ARC or PLC for the 2014 through 2018 crop years. Mid-April 2015 through summer 2015: Producers sign contracts for 2014 and 2015 crop years. October 2015: Payments for 2014 crop year, if needed. USDA leaders will visit with producers across the country to share information and answer questions on the ARC and PLC programs. USDA helped create online tools to assist in the decision process, allowing farm owners and producers to enter information about their operation and see projections that show what ARC and/or PLC will mean for them under possible future scenarios. The new tools are now available at www.fsa.usda.gov/arc-plc. Farm owners and producers can access the online resources from the convenience of their home computer or mobile device at any time. USDA provided $3 million to the Food and Agricultural Policy Research Institute (FAPRI) at the University of Missouri and the Agricultural and Food Policy Center (AFPC) at Texas A&M (co-leads for the National Association of Agricultural and Food Policy), along with the University of Illinois (lead for the National Coalition for Producer Education) to develop these online tools. Covered commodities include barley, canola, large and small chickpeas, corn, crambe, flaxseed, grain sorghum, lentils, mustard seed, oats, peanuts, dry peas, rapeseed, long grain rice, medium grain rice (which includes short grain rice), safflower seed, sesame, soybeans, sunflower seed and wheat. Upland cotton is no longer a covered commodity. Today’s announcement was made possible through the 2014 Farm Bill, which builds on historic economic gains in rural America over the past five years, while achieving meaningful reform and billions of dollars in savings for the taxpayer. Since enactment, USDA has made significant progress to implement each provision of this critical legislation, including providing disaster relief to farmers and ranchers; strengthening risk management tools; expanding access to rural credit; funding critical research; establishing innovative public-private conservation partnerships; developing new markets for rural-made products; and investing in infrastructure, housing and community facilities to help improve quality of life in rural America. For more information, visit www.usda.gov/farmbill. WASHINGTON, Sept. 25, 2014 – U.S. Department of Agriculture (USDA) Secretary Tom Vilsack today unveiled highly anticipated new programs to help farmers better manage risk, ushering in one of the most significant reforms to U.S. farm programs in decades. Vilsack also announced that new tools are now available to help provide farmers the information they need to choose the new safety net program that is right for their business. The new programs, Agricultural Risk Coverage (ARC) and Price Loss Coverage (PLC), are cornerstones of the commodity farm safety net programs in the 2014 Farm Bill, legislation that ended direct payments. Both programs offer farmers protection when market forces cause substantial drops in crop prices and/or revenues. Producers will have through early spring of 2015 to select which program works best for their businesses. To help farmers choose between ARC and PLC, USDA helped create online tools that allow farmers to enter information about their operation and see projections about what each program will mean for them under possible future scenarios. The new tools are now available at www.fsa.usda.gov/arc-plc. USDA provided $3 million to the Food and Agricultural Policy Research Institute (FAPRI) at the University of Missouri and the Agricultural and Food Policy Center (AFPC) at Texas A&M (co-leads for the National Association of Agricultural and Food Policy), along with the University of Illinois (lead for the National Coalition for Producer Education) to develop the new programs. Starting Monday, Sept. 29, 2014, farm owners may begin visiting their local Farm Service Agency (FSA) offices if they want to update their yield history and/or reallocate base acres, the first step before choosing which new program best serves their risk management needs. Letters sent this summer enabled farm owners and producers to analyze their crop planting history in order to decide whether to keep their base acres or reallocate them according to recent plantings. The next step in USDA’s safety net implementation is scheduled for this winter when all producers on a farm begin making their election, which will remain in effect for 2014-2018 crop years between the options offered by ARC and PLC. The Agricultural Act of 2014 is important legislation. It provides farmland owners and operators the opportunity to make a one-time election of a commodity program for 2014 through 2018. The legislation also allows the operator to enroll annually in a chosen program. Iowa State University Extension and Outreach provides several resources to assist in this decision-making process. “While the Farm Bill of 2014 provides opportunities for farmers to update their farm selections, it is important that they consider several factors before making these decisions,” said Ann Johanns, extension program specialist. 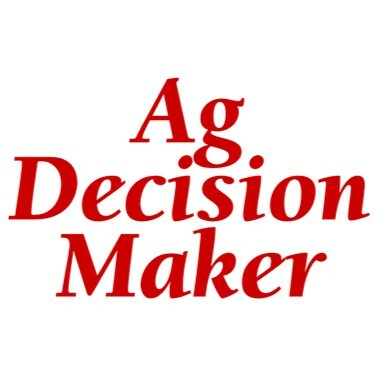 Johanns coordinates Ag Decision Maker, an agricultural economics and business website sponsored by Iowa State University Extension and Outreach. “We have developed several tools, including the Base Acreage Reallocation and Payment Yield Update, to assist owners and operators as they determine what is best for their business and family,” Johanns said. 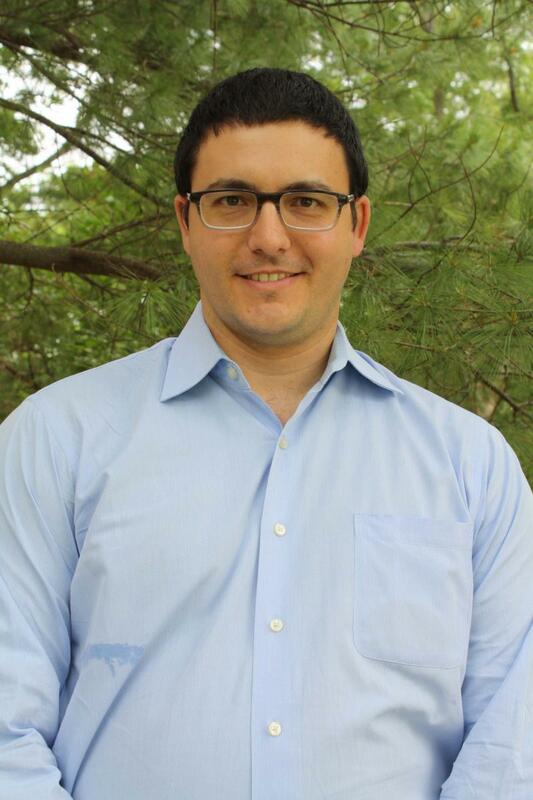 Alejandro Plastina, an extension economist with Iowa State University Extension and Outreach, developed the Base Acreage Reallocation and Payment Yield Update. 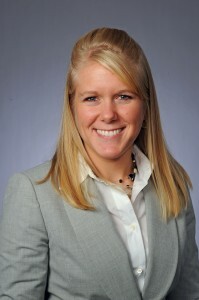 “The worksheet is a simple tool to evaluate the convenience of having the payment formulas for some commodity programs updated to better reflect current production patterns on a farm-by-farm basis,” Plastina added. He noted that the decision tool includes multiple worksheets to allow information for up to five farms. The Base Acreage Reallocation and Payment Yield Update worksheet was designed to help Iowa farmland owners with base acreage reallocation decisions for the Agricultural Risk Coverage-County (ARC-CO) program and the Price Loss Coverage (PLC) program, and with payment yield update decisions for the PLC program. To access this and other online tools, go to www.extension.iastate.edu/agdm. To further support producers, a series of workshops will be held across Iowa to provide information about the Farm Bill and the impact it has on producers. The meetings will be held once final regulations are set. A complete schedule will be posted on the AgDM Farm Bill Web page at www.extension.iastate.edu/agdm/info/farmbill.html. WASHINGTON, Sept. 2, 2014 – The U.S. Department of Agriculture (USDA) is encouraging producers who have suffered eligible disaster-related losses to act to secure assistance by Sept. 30, 2014, as congressionally mandated payment reductions will take place for producers who have not acted before that date. Livestock producers that have experienced grazing losses since October 2011 and may be eligible for benefits but have not yet contacted their local Farm Service Agency (FSA) office should do so as soon as possible. The Budget Control Act passed by Congress in 2011 requires USDA to implement reductions of 7.3 percent to the Livestock Forage Disaster Program (LFP) in the new fiscal year, which begins Oct. 1, 2014. However, producers seeking LFP support who have scheduled appointments with their local FSA office before Oct. 1, even if the appointment occurs after Oct.1, will not see reductions in the amount of disaster relief they receive. USDA is encouraging producers to register, request an appointment or begin a Livestock Forage Disaster Program application with their county FSA office before Oct. 1, 2014, to lock in the current zero percent sequestration rate. As an additional aid to qualified producers applying for LFP, the Farm Service’s Agency has developed an online registration that enables farmers and ranchers to put their names on an electronic list before the deadline to avoid reductions in their disaster assistance. This is an alternative to visiting or contacting the county office. To place a name on the Livestock Forage Disaster Program list online, visit http://www.fsa.usda.gov/disaster-register . Producers who already contacted the county office and have an appointment scheduled need do nothing more. The Livestock Indemnity Program, the Tree Assistance Program and the Noninsured Disaster Assistance Program Frost Freeze payments will also be cut by 7.3 percent on Oct. 1, 2014. Unlike the Livestock Forage Disaster Program, applications for these programs must be fully completed by Sept. 30. FSA offices will prioritize these applications, but as the full application process can take several days or more to complete, producers are encouraged to begin the application process as soon as possible. The Livestock Forage Disaster Program compensates eligible livestock producers who suffered grazing losses due to drought or fire between Oct. 1, 2011 and Dec. 31, 2014. Eligible livestock includes alpacas, beef cattle, buffalo, beefalo, dairy cattle, deer, elk, emus, equine, goats, llamas, poultry, reindeer, sheep or swine that have been or would have been grazing the eligible grazing land or pastureland. Producers forced to liquidate their livestock may also be eligible for program benefits. Additionally, the 2014 Farm Bill eliminated the risk management purchase requirement. Livestock producers are no longer required to purchase coverage under the federal crop insurance program or Noninsured Crop Disaster Assistance Program to be eligible for Livestock Forage Disaster Program assistance. To learn more about USDA disaster relief program, producers can review the 2014 Farm Bill fact sheet at www.fsa.usda.gov/farmbill, the LFP program fact sheet, http://go.usa.gov/5JTk, or contact their local FSA office. The Livestock Forage Disaster Program was made possible through the 2014 Farm Bill, which builds on historic economic gains in rural America over the past five years, while achieving meaningful reform and billions of dollars in savings for the taxpayer. Since enactment, USDA has made significant progress to implement each provision of this critical legislation, including providing disaster relief to farmers and ranchers; strengthening risk management tools; expanding access to rural credit; funding critical research; establishing innovative public-private conservation partnerships; developing new markets for rural-made products; and investing in infrastructure, housing and community facilities to help improve quality of life in rural America. For more information, visit www.usda.gov/farmbill.